This may 9th we are hosting a tournament in cooperation with Federation Gaming. We have a 1K CASH prize for a Standard Format tourney. Registration opens at 10AM with the tournament starting at 11AM. Event will take place at the John Paul Jones Arena during Federation Gaming’s Showdown event. Entry fee is $20 into the event and $15 for the Magic Tournament, making it a $35 dollar event in total. So come on down and try your hand at some MTG and potentially walk away with a big stack of cash! 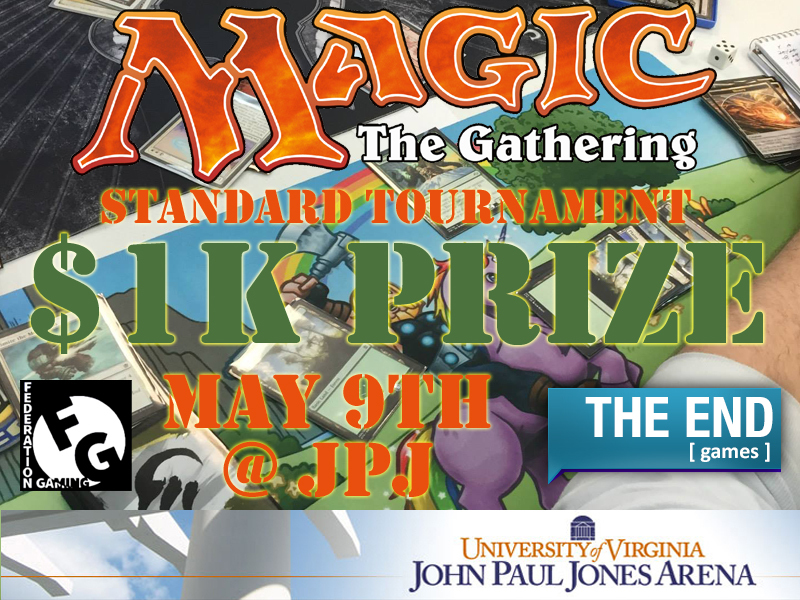 This entry was posted in Event, Magic The Gathering, PC/LAN, Site News, Store News and tagged $1K, Event, JPJ, MTG, Standard. Bookmark the permalink.